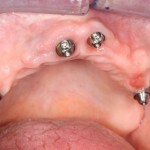 Dental implants are small titanium screws which are placed into the bone. 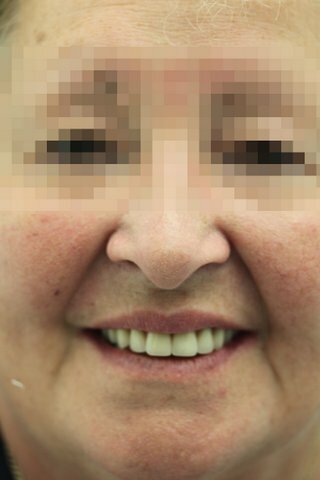 With a high success rate and the procedure being both safe and predictable, its no simple to see why this treatment is becoming more popular. 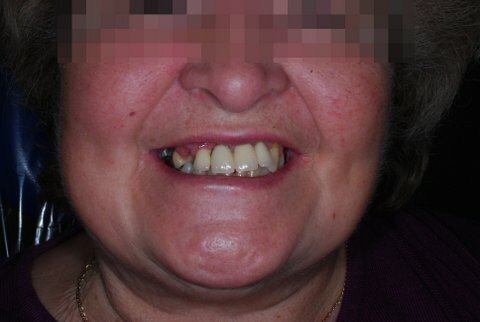 Dental implants are replace both missing or damaged teeth. 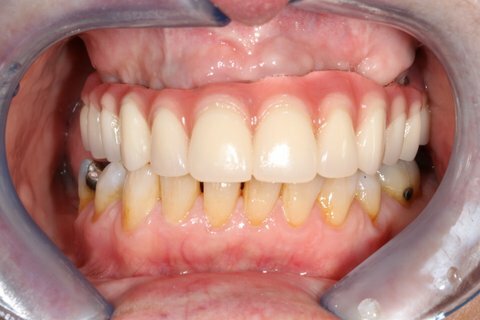 In the case which we are sharing today we look at a case where a patient had several missing teeth as well as some failed crowns with root canal treatments. 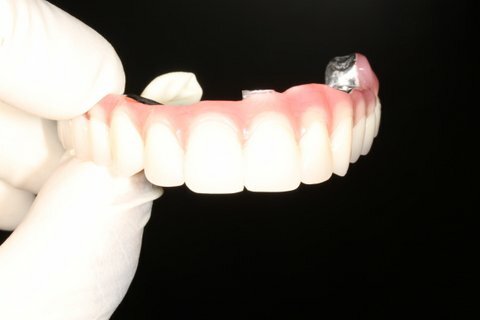 Using newer techniques in dental implants treatments the problem teeth were removed and dental implants placed on the same appointment. 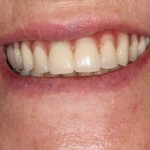 There are several advantages to placing dental implants immediately following the extraction of teeth. 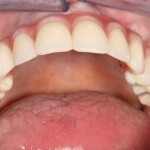 Immediately following the extraction of a tooth there is some bone loss. By placing an implant during the same appointment the bone loss can be minimized provided suitable bone grafting was completed. 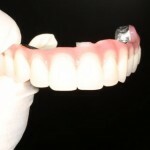 If the implant is stable after implant placement it may be able to support a provisional implant crown. 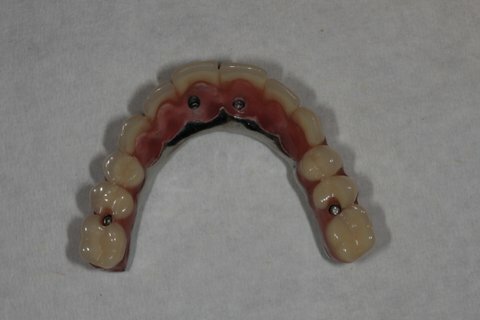 This can be advantageous as the patient avoids using a removable denture or having a space during the implant or extraction healing period. 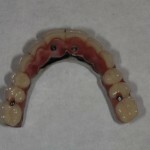 The patient undergoes less procedures and in turn makes the whole implant placement process more comfortable. 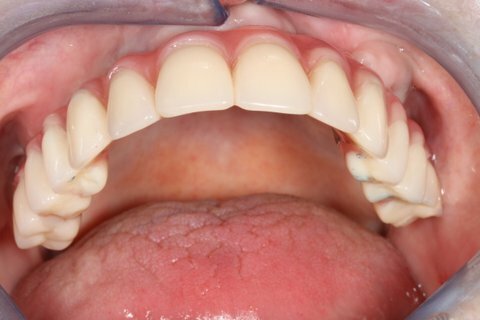 The surrounding bone and gum tissue architecture is more closely maintained. 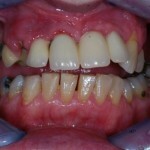 The length of time to complete treatment is reduced. 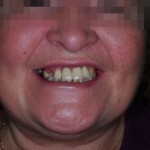 It must be pointed out that immediate loading of dental implants is not always possible. 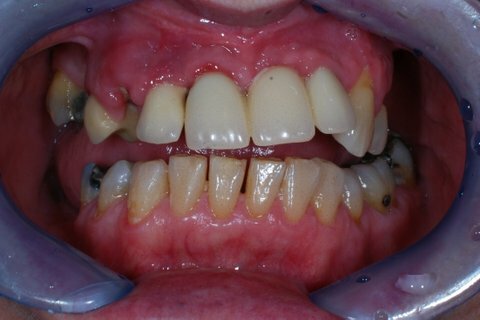 In cases where the jaw bone is limited in volume or density the implant will need longer healing time before it is fully integrated. 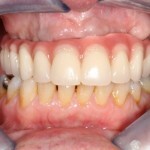 In such cases we say that the implant procedure will be completed by means of a 2 stage approach. 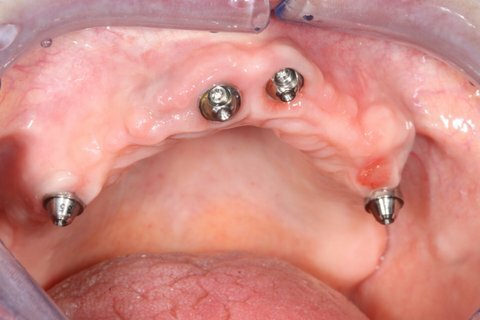 The implant is usually left buried underneath the gum tissues for a period of 3-6 months while the bone tissue heals. Bone grafts may take up to 12 months to heal. 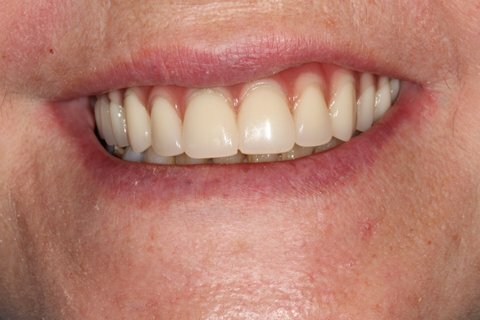 For more information on Dental Implants or Full Dentures please feel free to Contact Brighton Implant Clinic or Call us on 0800 111 6623.